The Pixelbook sports a 12.3" 2400x1600 display, and nobody's complaining about it. In fact, we even praised it in our review for being nice in basically every aspect. But companies are constantly seeking to cram more and more pixels into their devices' screens, and Google is no different. According to a recent Chrome OS commit, we'll be seeing 4K displays on Chromebooks in the near future. The current Chrome logo (uploaded in CL:331831) is slightly oval for some unclear reason. This patch replaces it with the image currently used for the boot splash screen which is presumably officially sanctioned. As an added bonus, this logo is not only much rounder but also higher resolution, making sure it will continue to look crisp and pretty on our secret upcoming 4K Chromebooks. If you couldn't be bothered to read that, the Chrome logo has been replaced with a rounder and higher-resolution version to ensure that it'd look good on some 'secret upcoming 4K Chromebooks.' The way that this is phrased is pretty funny, as the developers working on the project obviously knew somebody would catch this. The new logo, in case you were wondering. 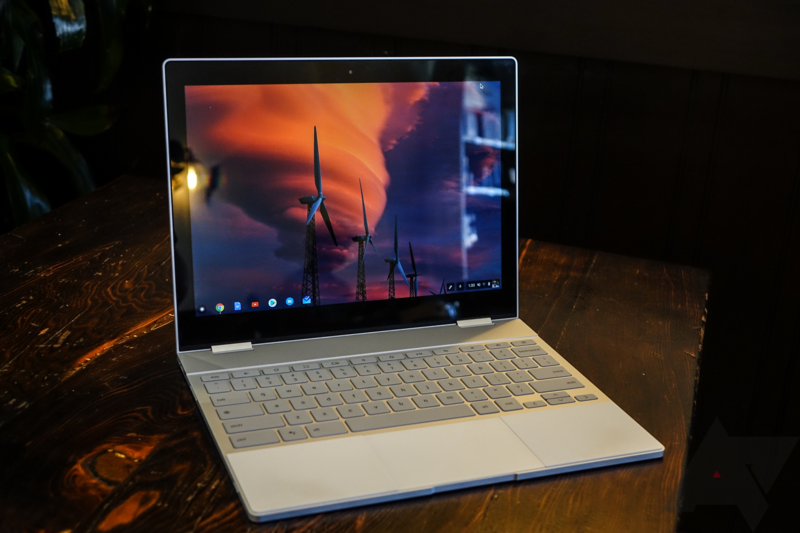 It's nice to hear that Google is continuing to work on bettering its line of Chromebooks, though I personally don't think that 4K displays are necessary on laptops. They require more processing power and reduce battery life, all for a result that isn't exactly noticeably better than what it replaces. I've heard zero complaints that the 1600p display on the Pixelbook needs more pixels. In any case, we look forward to hearing more about these secret upcoming Chromebooks.